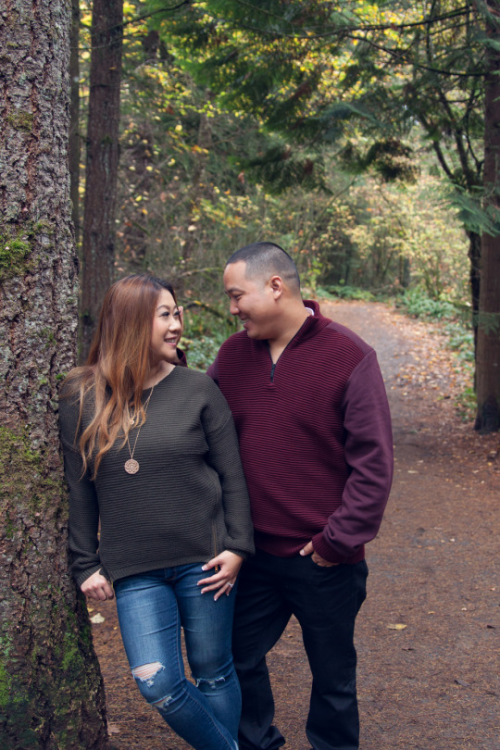 Carter and Pang are such a fun couple and surrounded with the beautiful colors of fall it was easy to capture their love. We shared a lot of laughs and some stories as we roamed around Lake Lacmas in Washington. It was my 31st birthday. Usually we don’t do anything big, just besides dinner with the family. Our crazy hectic life, we can’t do dinner alone and with family. This passed April 2016, my sisters had asked me what I wanted to do for my birthday. As usual, I always say “nothing”. Sister’s insisted a simple dinner with the family. So I decided quickly and said “Royal Capital Seafood”. It has good food and they can easily accommodate our family. A week prior to my birthday weekend, my sister Judy (middle sister) had called me while I was at work to verify if I had reserved the restaurant yet? I said I was too busy, and would do it later. She jumped and offered to book it (which I found super weird, causes she’s one of those who never cares to take the initiative for anything like that especially during work hours). Later that same day after I got off of work, my older sister (Maly) called me in total confusion. Telling me that they changed the restaurant for my dinner. It didn’t make sense but I knew something was fishy. I kept quiet and played along. Not to mention, Carter and I have been together for almost 8 years, my mom hasn’t given me the “marriage prep” talk until that week before my birthday. Adding this all up, it made sense. It was a matter of waiting and seeing how it was going to happen. That day came, my birthday dinner… My sisters were really adamant on taking me to get my nails done, they were so concerned how I was going to dress. I showed up to my mom’s house wearing jeans, blue blouse, and nice sandals. Oh how my mom called my clothes “hideous”. Telling me to go home and change. LOL.. Showed up to the restaurant a few minutes later, noticed everyone’s car that wasn’t initially invited. Sat down for 5 minutes, Carter called me to the front stage, got on one knee, made a whole speech (put me to tears). He proposed at the same restaurant he first celebrated my birthday with me 7 years ago. When deciding about the wedding they wanted something simple and autumn being Pang’s favorite they decided on having an elegant simple fall theme. “The colors, the flowers, and best of all, my favorite flowers in a different color form, Calla Lilies.” The wedding will be at a Japanese Garden with colors of maroon and gold. Instead of a wedding cake, they will be hosting a donut bar along other desserts. When having time off together they love travel and want to see a much as possible every year. Their goal together is to travel once year to somewhere they haven’t been. As well as seeing bands together having quality time with friends and family is also a priority. Congratulations to the soon to be Mr. & Mrs. Lav and look forward to seeing more of your big day!